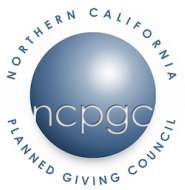 ​And What Does it Mean for Planned Giving? An introduction to common methods for transferring assets after death, basic estate plan structures for married couples of varying degrees of wealth, and incapacity planning. Learn what you need to know about CGAs and CRTs and have better conversations about these life income gifts with your donors and board members. Dare to ask your supporters, one-on-one, to make legacy gifts. Build or expand infrastructure to support the ask, not the other way around. You have learned the techniques of gift planning and studied the instruments. What's your next move? Ann will help you determine your path to a successful gift planning program. Asking never seems easy. What if it was less stressful and perhaps even fun? Asking in a respectful way can increase gift size and result in larger current gifts. Try out some new approaches that can work for those at any experience level. How do you decide which planned gift marketing tools to employ? We’ll review a variety of techniques that can suit any size budget or program. Learn how to effectively increase your reach with social media and email using practical and proven strategies that build relationships with donors and deliver results! Looking for Gifts in All the Right Places: Helpful Hints for Identifying Planned Giving Prospects and Turning "NO" into "YES"
This session will help fund raisers find the right prospects, turn a "no" into a gift, and uncover gifts they may not even have been looking for. This program will guide charitable beneficiaries through the trust and probate administration process to ensure that they receive their full bequests. If you already know the basics, this highly interactive and case driven session will help you take your gift annuity conversations to the next level. Basic elements of gift agreements, issues to take into consideration when deciding to make an agreement or a pledge legally binding, drafting flexibility into gift purpose language to deal with future changed circumstances as well as other practical considerations. The future of planned giving marketing is integration, not separation - a hybrid marketing mix, blending annual support and legacy gifts in the same communication vehicles. This workshop will allow you to easily identify and explain retirement assets to donors and assist them in understanding the benefits of leaving such assets to their preferred charity. This session will explore some of the legal and tax issues present in real estate gifts, as well as a few creative gift planning ideas. ​Acts of Self-Dealing impose significant excise taxes on your clients and their charitable gifts. Come learn how to identify Self-Dealing and How to Fix it. Learn what a Pooled Income Fund (PIF) is, how it works, how to administer a PIF and how to use it effectively. This session will cover basic parameters and various corporate challenges associated with receiving public and private company stock as a charitable gift. Learn about some of the medical, practical and legal aspects of donors with diminishing capacity. Impact investing is a popular but often misunderstood strategy for philanthropy. This session will explore how aligning one’s values for giving can be applied to their investing as well. What do prospective donors care about most and respond to best when being approached for a planned gift? Experienced philanthropists answer that all-important question.